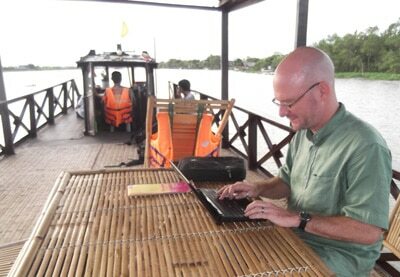 Online Travel and Writing Courses Whenever and Wherever You Have Time! I’m excited to be unleashing new versions of my courses in a value-packed, budget-friendly, video format. You can begin the courses whenever you like and complete them at your own pace. Each course includes a series of videos — broken into bite-sized, coffee-break-length segments you can watch any time. All of these workshops also include writing exercises to give you hands-on practice with what you’re learning, a series of bonus articles to read, and access to an online classroom where you can ask me questions, share your writing for feedback from your fellow students around the globe, trade tips and resources, or just hang out and have fun. For full details on all each, follow the links below. The trips we take might last a short amount of time, but along the way, we collect some of our biggest life stories. We get to keep those stories for a lifetime – if we can remember the details. 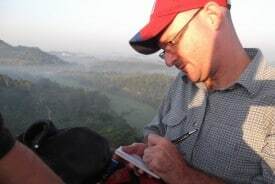 Many aspiring travel journalers, however, feel that their words fall flat, failing to capture the true spirit of their adventures, or… they simply struggle to find time to write in the middle of their exciting trips. This video course helps fix those problems, and explains fun ways to journal so you capture lots of vivid detail in your diaries and have richer travel experiences at the same time. You get 75 minutes of video lessons, split into short, easy-to-digest segments, plus membership in our online travel journaling forum where you can ask questions, share tips and techniques with other students, and more. 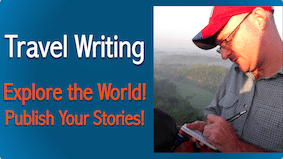 Geared toward beginning and intermediate travel writers, this workshop includes more than three hours worth of video lessons, and teaches how to transform your “rough draft” travel journals into polished stories you can share with friends, post on a blog, or publish professionally. Have you ever known somebody who goes on vacation and comes home with larger-than-life tales to tell – every time? Have you ever wondered why some people have incredible adventures when they travel, while others have a good time but never seem to go beyond the generic tourist experience? Have you ever wished you could be one of the people who has all the incredible adventures? This course teaches you how to make that happen … even if you’re an introvert! Each lesson offers techniques and exercises to help incite maximum laughs. 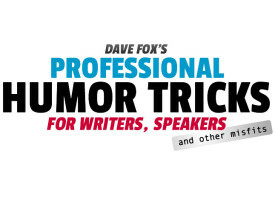 You’ll discover your unique writing strengths, develop your own voice and personal style, and identify and fix common mistakes that might be holding you back from being as funny as you can be. 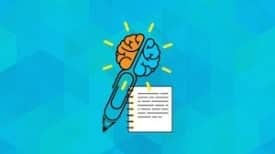 Lots of courses teach you how to improve your writing skills, but nearly all of them miss a critical issue writers must master if they want to succeed: the unique mental challenges that are at play when we write. From writer’s block to critical self-talk to fearing the power of our prose, writing is full of emotional and psychological hurdles that can drag down our success and our happiness, no matter how skillful we are at crafting our words. The first course in the “Psychology of Writing” series will help you overcome writer’s block, cure your perfectionism and writing fears, and become a more productive, more confident, more successful, happier writer than you’ve ever been before! From phone calls, to Facebook, to family, we’re living in a hyper-distracted world. The second course in Dave’s “Psychology of Writing” series teaches you how to defeat those distractions, get motivated, and make the time you need to write. Dave explains how he has overcome a major case of Attention Deficit Disorder to publish two bestselling travel books (with a third on the way) and hundreds of magazine and newspaper articles. 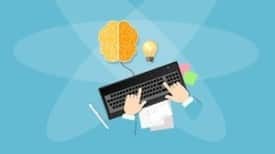 Whether you’ve got ADD or not, this course will teach you how to master the techniques Dave has used to win the battle against distraction and procrastination. Dave is as passionate about helping other people become great writers as he is about being a writer himself. Whether you need help with the mechanics of writing, professional issues such as working with editors and understanding copyright laws, or with common mental challenges such as writer’s block, productivity, and even Attention Deficit Disorder, Dave’s personal writer coaching via Skype, phone, and in person will help you supercharge your skills to become a bolder, more confident, more successful writer. More Online Writing Classes Coming Soon! To be among the first to hear about Dave’s latest online and in-person course offerings, sign up for his free e-mail newsletter on the homepage.